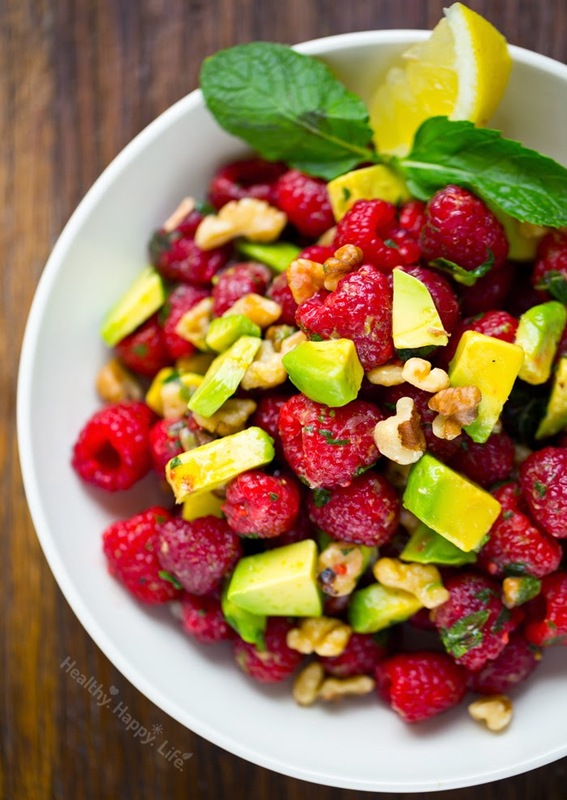 Raspberry-Mint Lemonade Fruit Salad + Avocado. For Brunching. 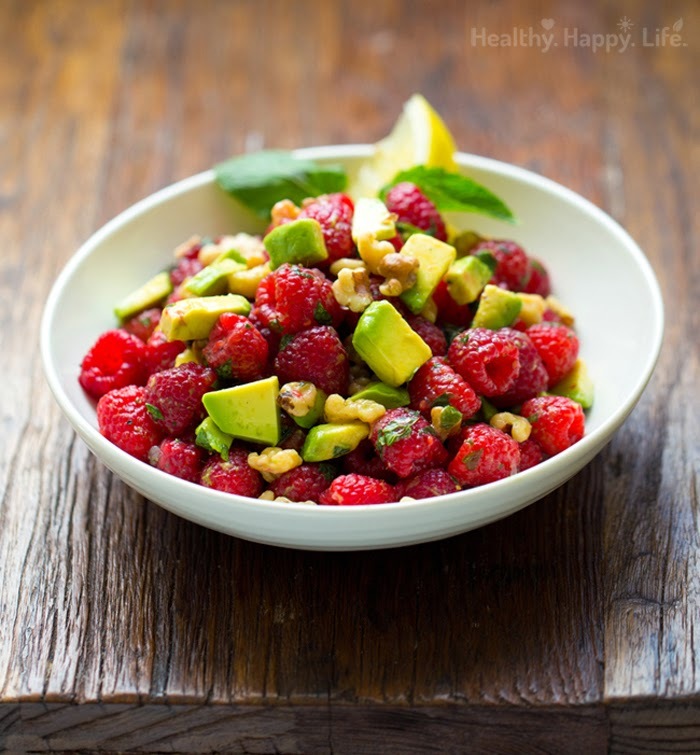 My Raspberry-Mint Lemonade Fruit Salad with buttery avocados, perky lemon juice and crunchy walnuts is bursting with sunny-sweet flavor. This is not a shy and quiet fruit salad. It is packed with bold flavor that will leave you coming back for seconds. This fruit salad is boosted with savory accents that give it a wide variety of wellness benefits. 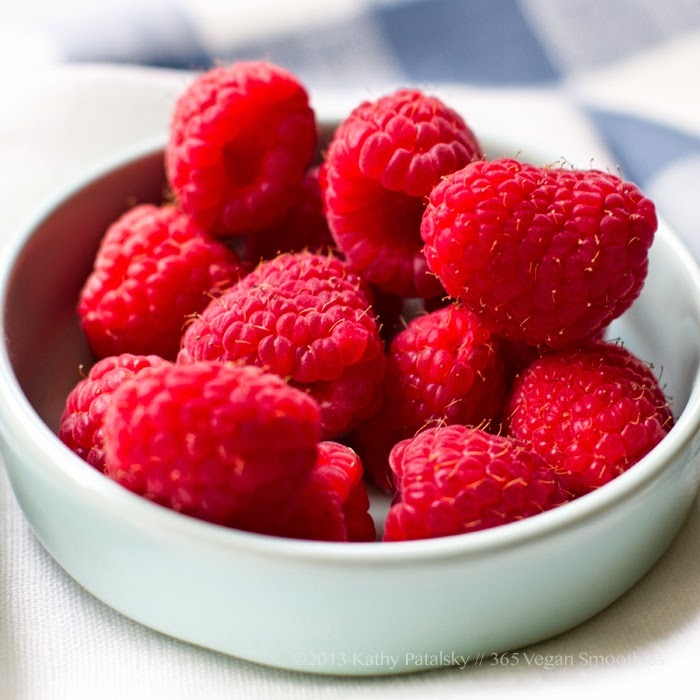 Raspberries are of course in the berry family - and we should all be eating more berries for their fiber, antioxidants like vitamins C and E, manganese, copper, vitamin K, magnesium, potassium and wellness enhancing properties from their unique berry phytochemicals. Berries are hydrating and satisfying since they contain a good amount of fiber. Also in this salad: healthy fats galore from the avocado and walnuts. And to add even more vitamin C, I've added in plenty of lemon juice. 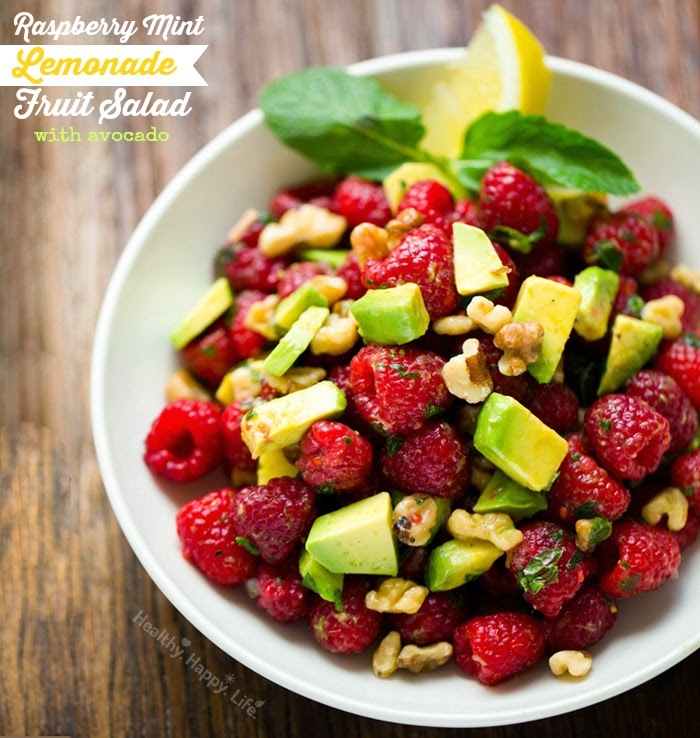 The sweetness of the berries combined with the lemon really does make this salad taste like raspberry-mint lemonade! 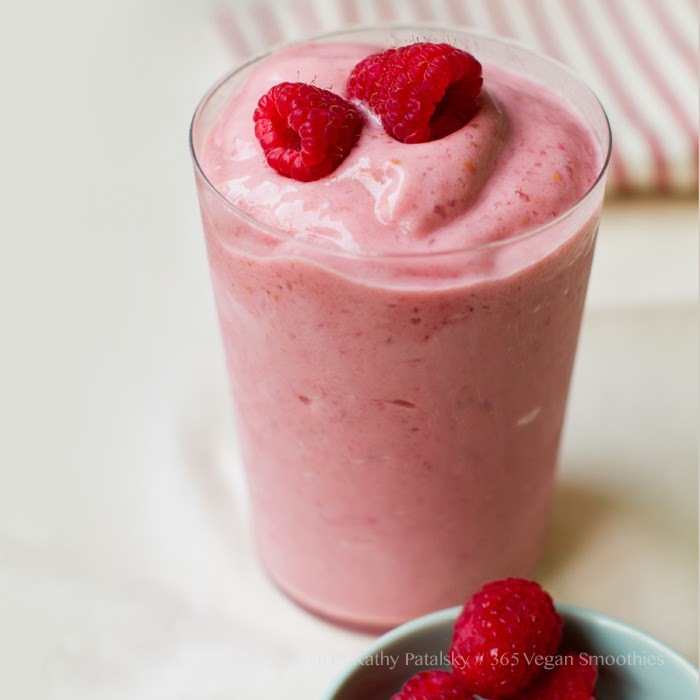 Serve this fruit salad at your next beautiful brunch feast..
One of my favorite smoothies from my book 365 Vegan Smoothies : Raspberry Rush! Creaminess meets perky tart-sweet fresh raspberries. Get the recipe in my book. Or head over to the MyDairyFreeGlutenFreeLife blog to enter a book giveaway! Also, check out my interview with Fitbe.com! 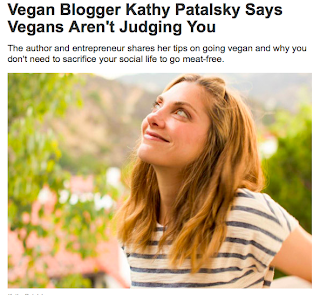 I chat vegan living, recipes, food faves and how vegans are very much not annoying. 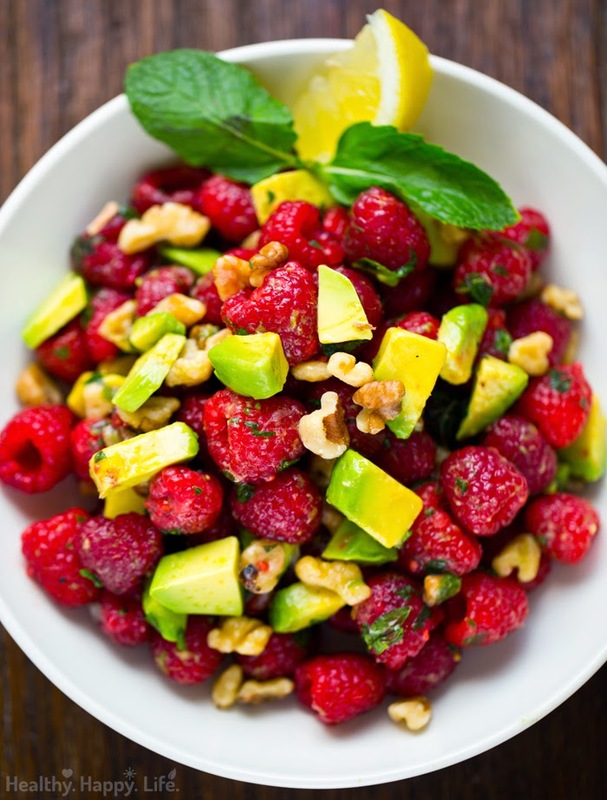 This refreshing fruit salad tastes like raspberry mint lemonade with accents of healthy fat avocado and walnuts. Add add the ingredients to a large mixing bowl. Toss well. Serve right away or chill in the fridge until ready to serve. 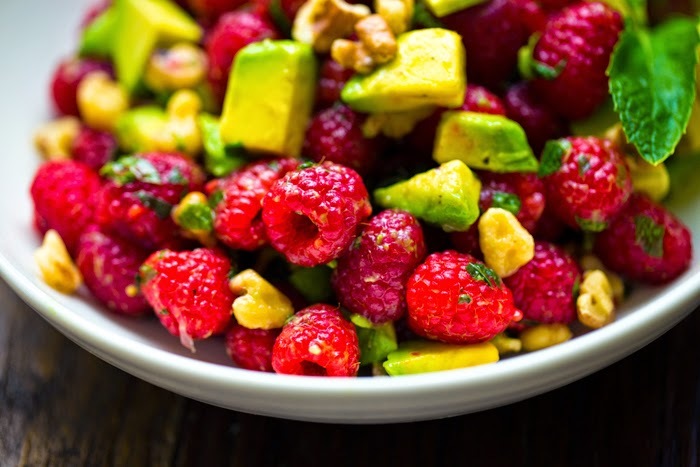 Raspberries will soften greatly after tossing, so this salad is best served in a few hours after making it.